We had a cigar blended by Cigar Federation and a cigar blended by our friends at Cigar Dojo. All the smoking has been done. Votes have been cast. Who will reign supreme in this Throw Down? 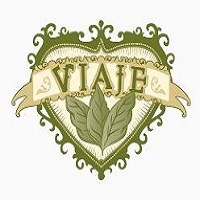 We will have a very special episode with Viaje and Cigar Dojo. We will be talking about something really cool we have coming up for Cigar Federation and Cigar Dojo members. Logan and Rob mix it up a little bit during this episode. 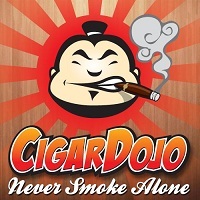 Typically, CigarChat just has guest who are cigar manufacturers but this week they had Eric from Cigar Dojo on CigarChat. 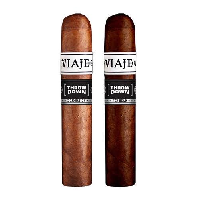 Cigar Dojo is a great social media community for cigar lovers. Also, if you are into apps, which we learn Logan isn't because he has a Blackberry still, Cigar Dojo has a great social mobile app for cigars. Eric, Logan, and Rob talk about some of of the good and bad cigars they have had lately, and Logan goes on a rant about cigar contents.